Almost all of us wish to have a soft, glowing and radiant skin; however, with increasing temperature and pollution, it is getting nearly impossible to achieve the same. Other than these external factors, one cannot deny the fact that our skin tends to go through natural changes as well. As we age, our skin begins to lose its elasticity and moisture. However, in some cases, the signs of ageing like dark spots and wrinkles start to occur at an early stage. Few dietary changes can come to great help to prevent these early signs of ageing. 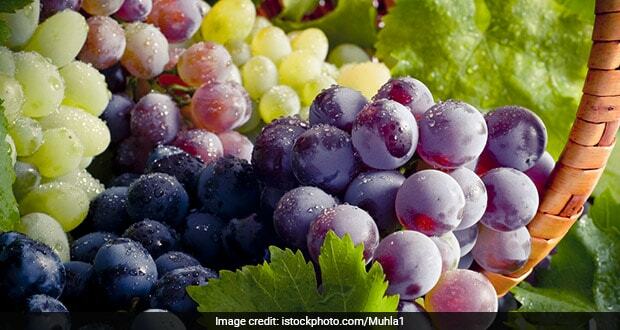 Grapes, in particular, could prove to be beneficial for our skin and the credit goes to resveratrol that are found in good number in grapes. Resveratrol is usually found in grape skin and seeds. If you wish to have a wrinkle-free skin, then application of grape pulp on your skin may do wonders. 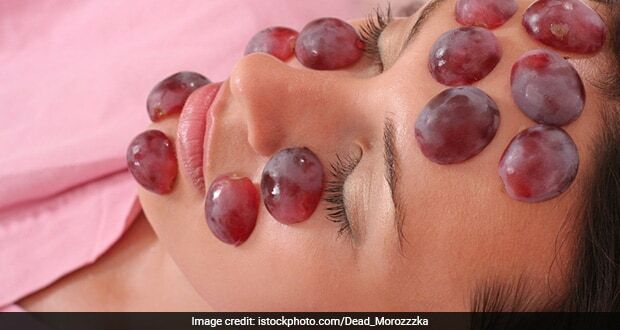 Here’s a list of 3 grape face masks that will give you a supple and wrinkle-free skin. Read on to know more about them. If you have a dull and dry skin, then this face mask is apt for you. It is made using two antioxidant-rich fruits that are loaded with skin-benefiting properties – grape and strawberry. Take few strawberries and cut them into bite-sized pieces. Add it in a bowl along with few grapes. Mash both the ingredients till a pulpy mixture is attained. Now, with a help of a cosmetic brush, apply the blended mask on your face and let it sit for about 15 minutes. Once it is done, rinse off with cold water. This one’s for oily skin type. All you need is few black grape and Fuller’s earth (multani mitti). The very first step is to blend the grapes into a smooth paste. Transfer the paste in a bowl and add one teaspoon of multani mitti, 1 teaspoon of rose water and 1 teaspoon of lemon juice in it. Mix all the ingredients and apply the mask on your face. Allow it to sit for 10-12 minutes and then rinse off with lukewarm water. You can repeat this procedure thrice a week for visible results. This face mask is a powerful combination of tomato and grapes that have the potential to fight wrinkles, fine lines and age spots. All you need is a small-sized tomato and about 8-10 grapes. Blend the two ingredients in a blender till a semi-thick mixture in attained. Now, with a help of a cosmetic brush apply the paste on your face. If you have under eye dark circles and sun spots, then apply a thick layer of the paste on them. Leave it on for 15 minutes and rinse off with cold water. So, bring these face masks to use and say bye-bye to wrinkles and fine lines! Look fabulous!